I'm so excited to be a guest host for Thrift Score Thursday Today!! 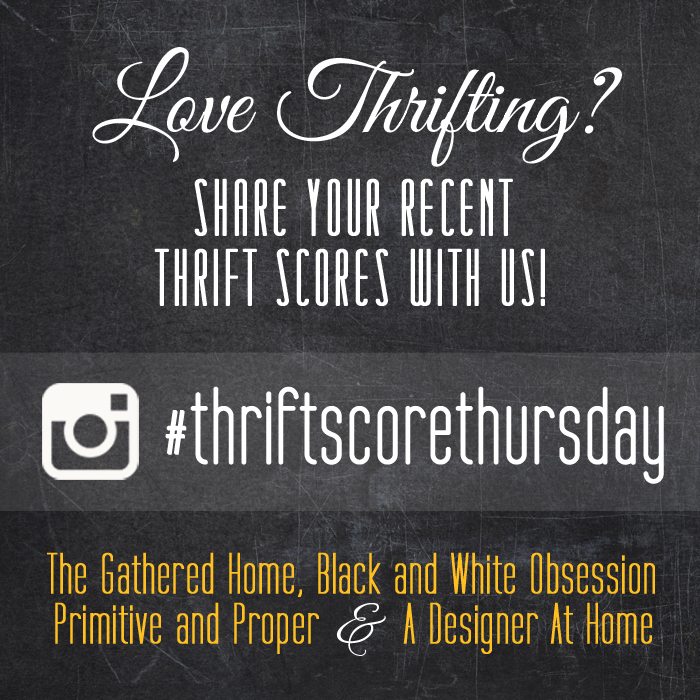 Are you familiar with Thrift Score Thursday? 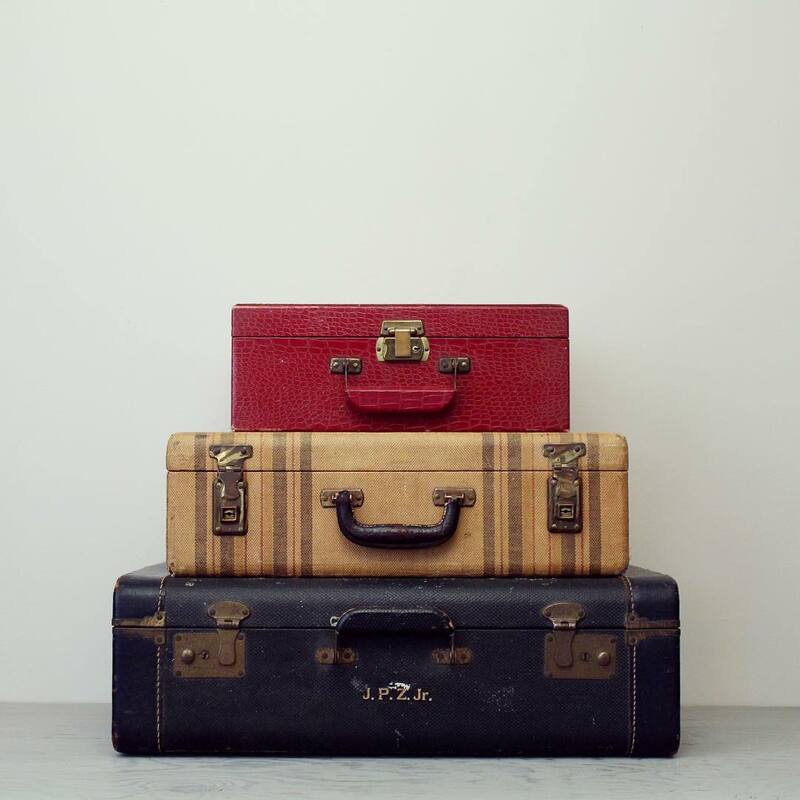 Every Thursday these talented bloggers share one of their favorite thrift scores. So today, I wanted to share my latest thrift scores with you. This brand new Threshold sheet. 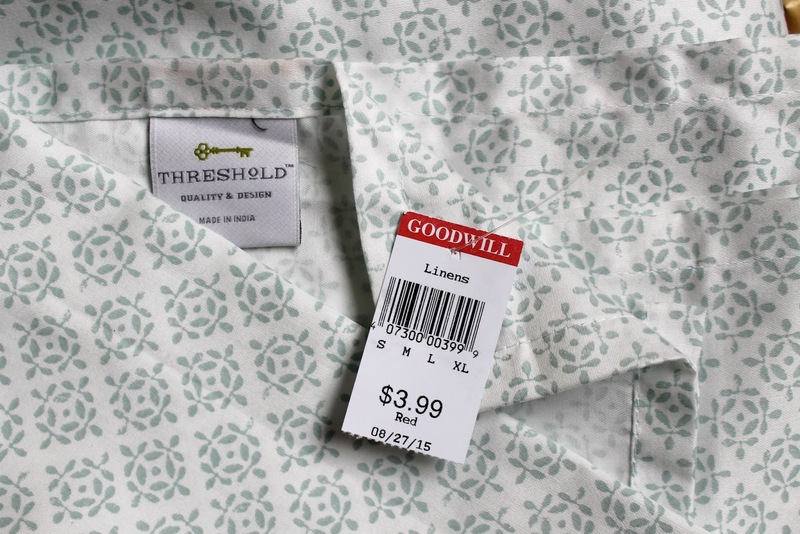 Did you know that Goodwill sells Target's clearance items, and for way less than the clearance price? It's true! I've always got my eye out for Target's stuff. And the Threshold brand is my favorite. And lastly, I picked up this milk glass - cheese board/trivet thing ?? I'm not quite sure what it is meant for, but it's definitely retro from the 60's. 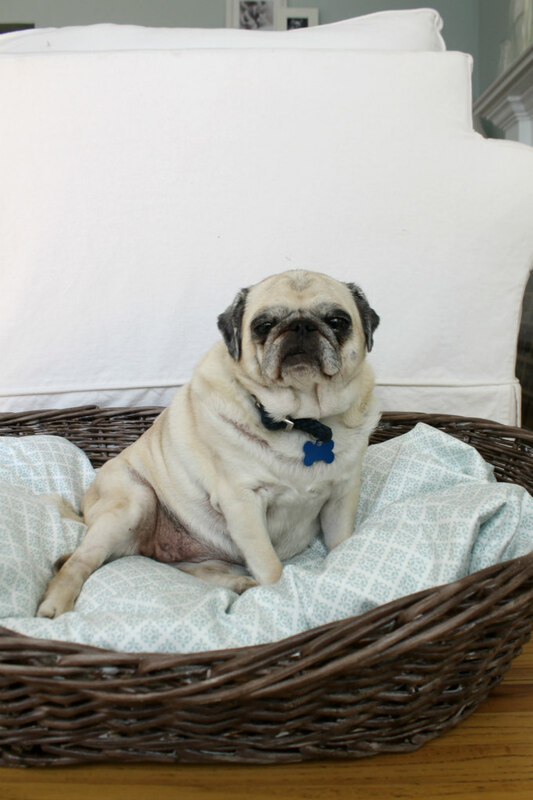 Once I got all of my new treasures home, I stained the wicker dog bed a darker color to give it a more rustic look. I used a Minwax stain called, Special walnut. Staining wicker is easy but messy. Basically, you just brush the stain onto the wicker with a paint brush until it is fully covered, but it takes a lot of stain to get into all of the weaves. The stain on this thing was so thick that it took a couple of days to dry. 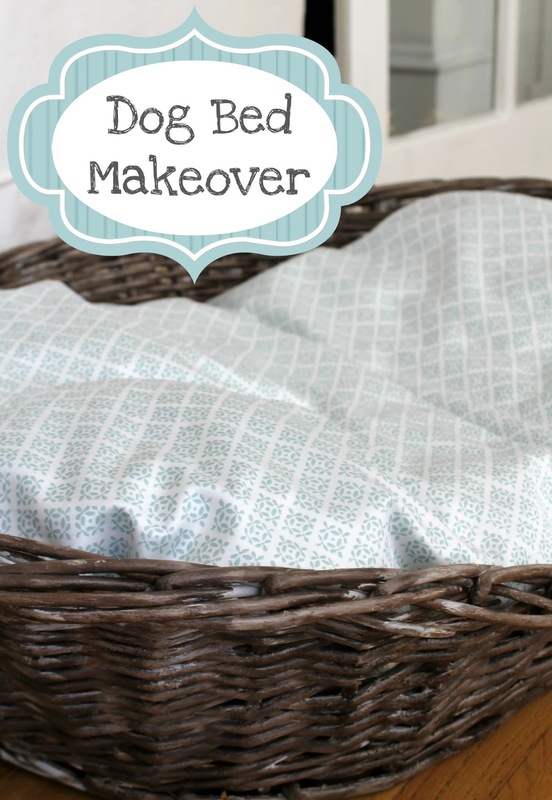 Once it was finally dried, I took my new Threshold sheet and covered my dog's bed with it, and then I placed the bed in the wicker basket. My Abby pug loves it! As for my new cheese board - trivet thing, I have placed it along side my cutting boards...which most have all come from thrift stores as well. I also recently picked up the green metal paper towel holder at a yard sale. I like how it matches my painted rolling pin handles perfectly. I just love shopping thrift stores, yard sales, and estate sales. I never know what I'm going to find, but I always find something! If so, you should come join in on the fun! 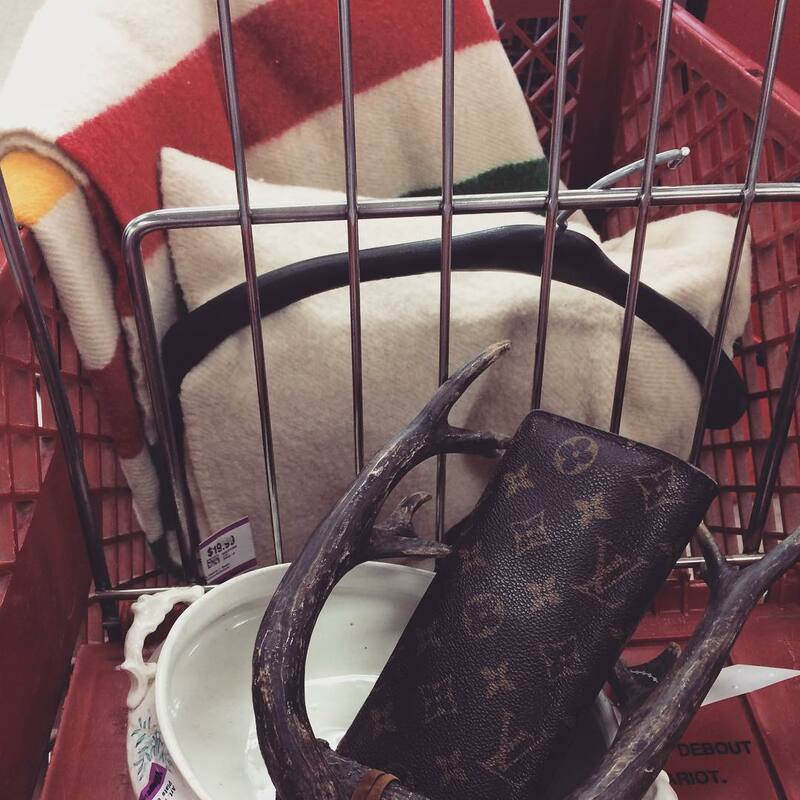 Just hashtag your latest thriftstore-yardsale- Craigslist-junk sale finds on Instagram for a chance to be featured next week! Just remember to use the hashtag #thriftscorethursday. It's also so much fun just to browse through the #thriftscorethursday hashtag. Is that a Hudson bay company wood blanket I see? And antlers? Love! Thank you so much, ladies, for inviting me to guest host today! Looks like you have all found some great stuff as well! 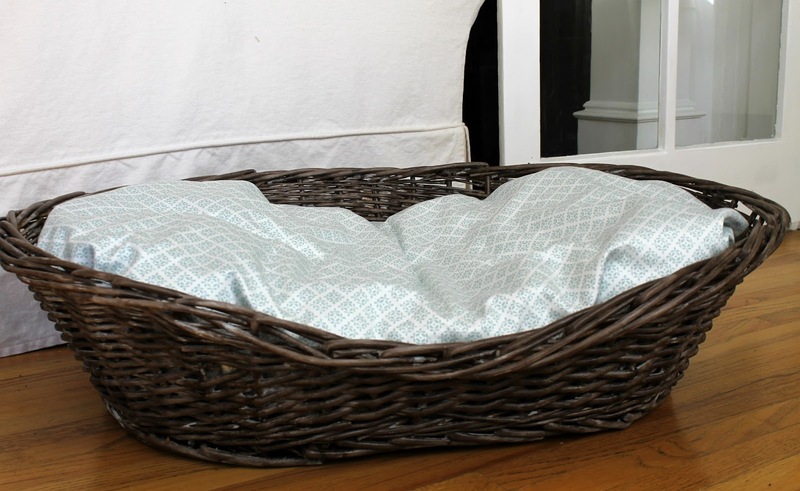 Such a cute dog bed! And cute dog! 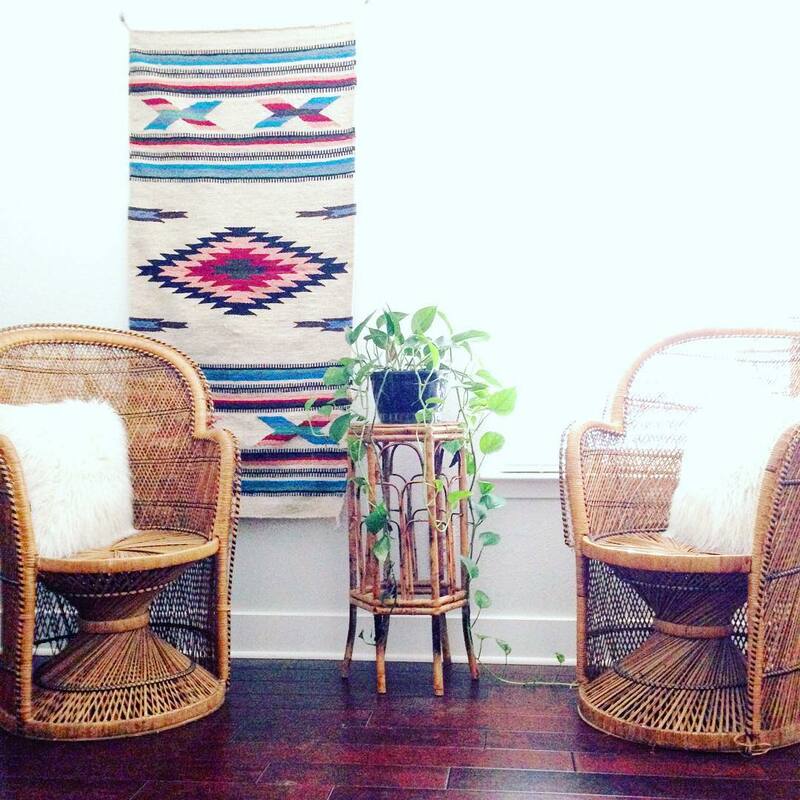 Those wicker chairs are really great! that cheeseboard is SO fun! thank you so much for guest hosting! I had no idea you could stain wicker, thank you for the mini-tutorial. 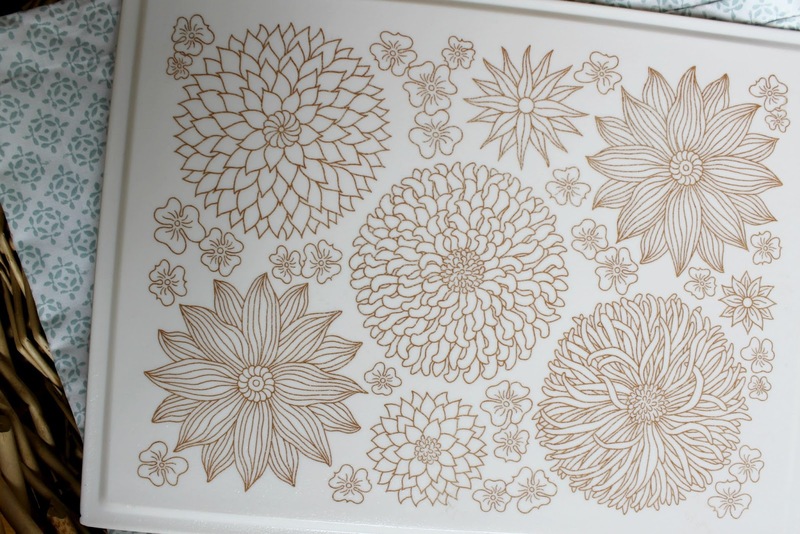 The trivet is so pretty with all that hand-drawn look to it. 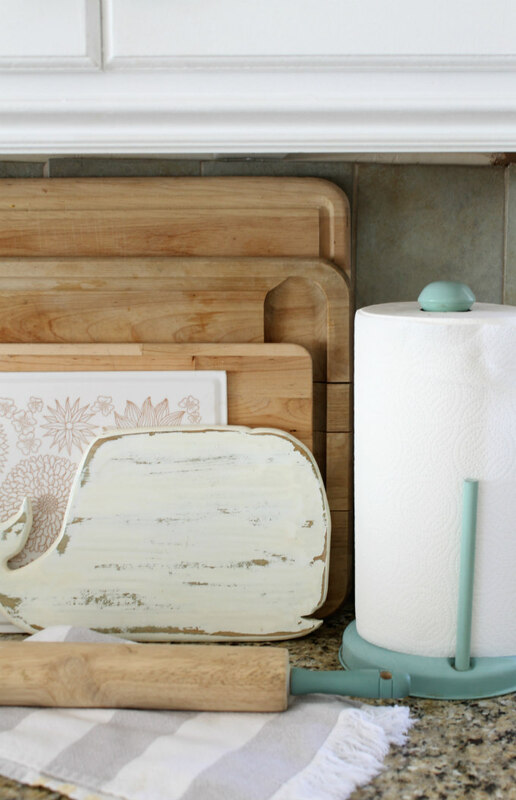 Also, that whale cutting board is absolutely adorable. Thank you for guest hosting with us, please come back ANYTIME. Great idea! You're so clever! That has to be the cutest dog bed I've ever seen. Thanks for sharing! So adorable. I'm so glad you joined us this week, Emily! 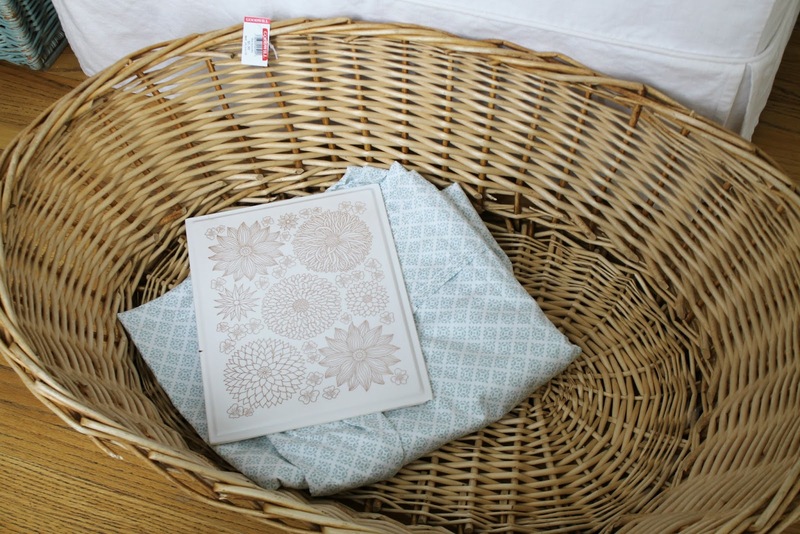 I love your thrift finds - so genius to stain the wicker and then create a bed using the sheets! I'm sad that my local Goodwill doesn't seem to get Target clearance items. That was definitely my favorite thing ever in our old town!